Version 10.6 of Axis LMS introduces a lot of new opportunities for an admin to change the User Interface. Taking the previously passive ‘background’ selection, Axis LMS v10.6 brings your selection to the foreground in a new ‘theme’ selection. Released juxtaposed to a new scaling option for the User Interface and in-line module delivery; branding and customizing your Users’ Interface has become a lot easier, and a lot more potent. Perhaps the most pivotal design decisions can be made by Branding your LMS. From here, you’ll be able to choose themes and banners that affect the entirety of your System. From the buttons users interact with, to the new in-line style of quiz delivery, the decisions you make will cascade down to almost everything your users can interact with. In addition to the quick start Branding, administrators are now able to choose a new scaling UI option for their users; where the size of everything on the user’s interface is now dependent on the how the user sizes their window. Learn more about getting started with Branding your Axis LMS here. 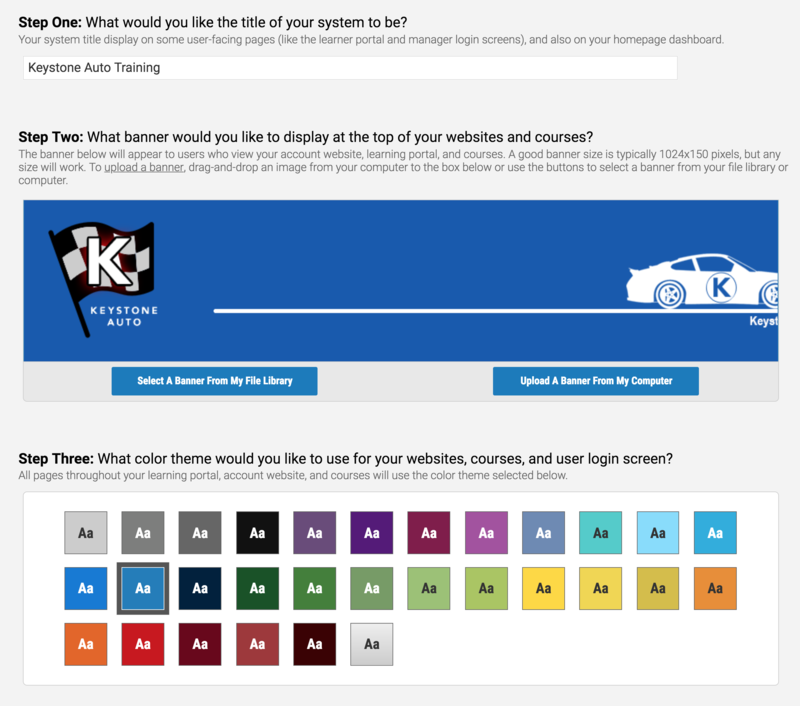 As a crucial part of any LMS, getting your Courses set up should be easy. And with your courses inheriting your System Branding by default, all you need to concentrate on is the content. Course creation is made to be easy, but scalable. This means that even with no course-building experience, anyone can put together a functional course; but those who want to add some flair to their training can do so easily. The new in-line style of quiz and module delivery will also inherit your theming, meaning that your quizzes don’t have to be branded individually to make them feel like they’re part of your course. Learn more about getting started with your first Course here. While Branding and Creating can be a fun experience for you as the admin, you’re not doing all this work for yourself. You’re going to want an audience to begin reviewing and participating in your LMS. 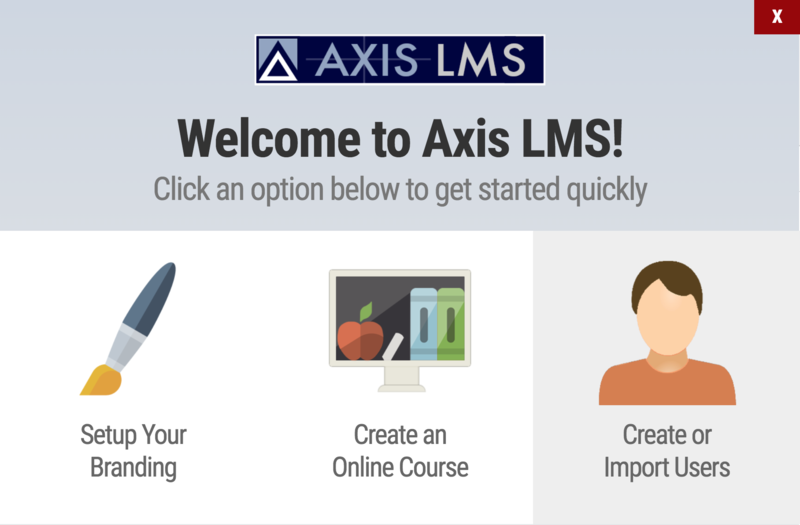 Axis LMS can have users create themselves, be imported, or be manually created by you as the admin. The quick start user creator will walk you through creating your first users, but eventually you may want to transition your system so that you can be less hands on with user creation; and focus more on content building. See some of the different ways users can get into your system here. 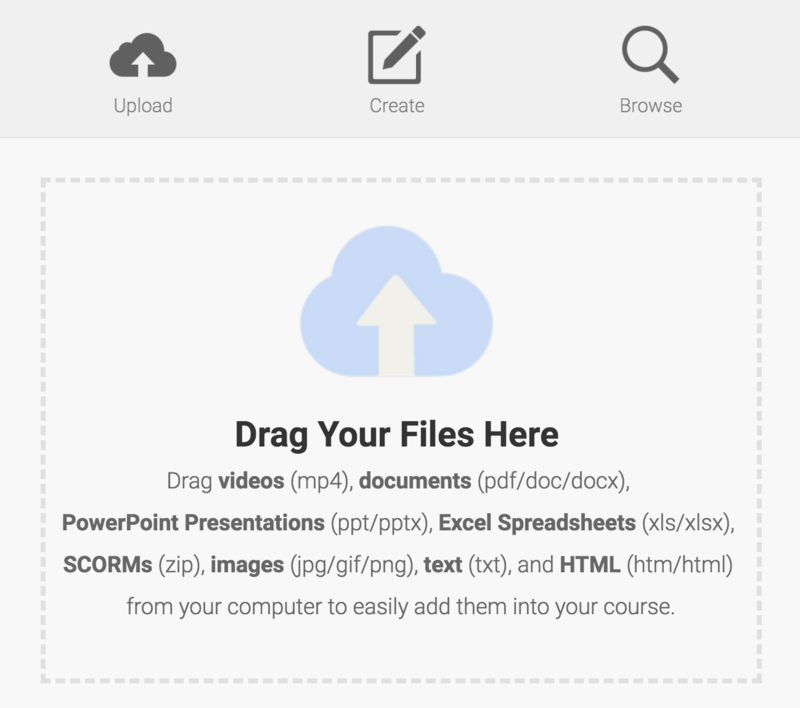 This entry was posted on Wednesday, February 6th, 2019 at 12:07 pm	and is filed under ELearning 101. Responses are currently closed, but you can trackback from your own site.